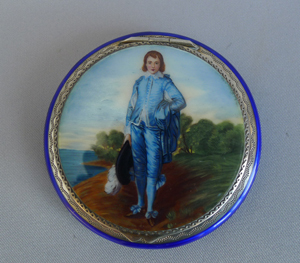 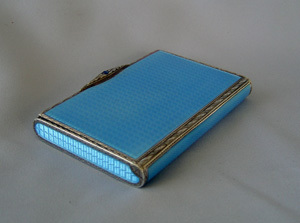 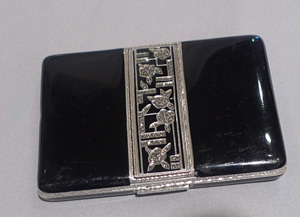 Guilloche enamel and silver card case with saphire button. 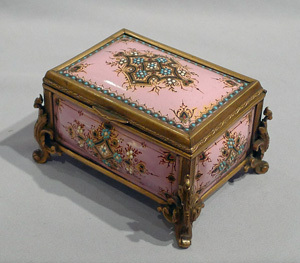 Jewelled enamel and gilt bronze jewellry casket. 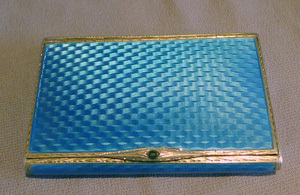 silver and yellow guilloche enamel and en grissaille painting evening purse. 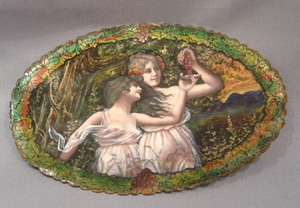 Silver, guilloche enamel, hand painted enamel and watercolour on ivory hand mirror in original case. 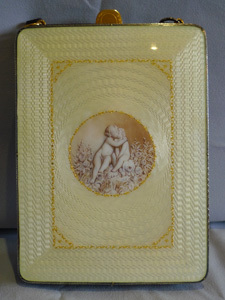 Antique signed Limoges dish of two nymphs, signed H. Doublet. 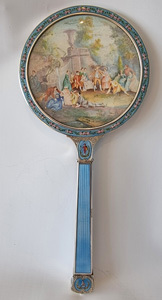 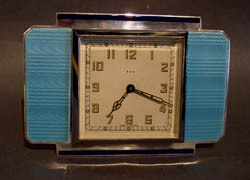 English silver and blue guilloche enamel enamel strut or easel clock. 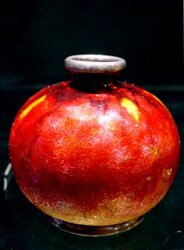 Superb French silver and fabulous enamel pomegranate vase by Limoges. 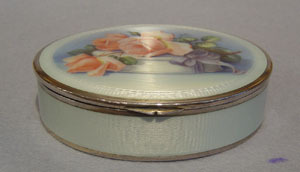 Silver and guilloche enamel box with Roses.